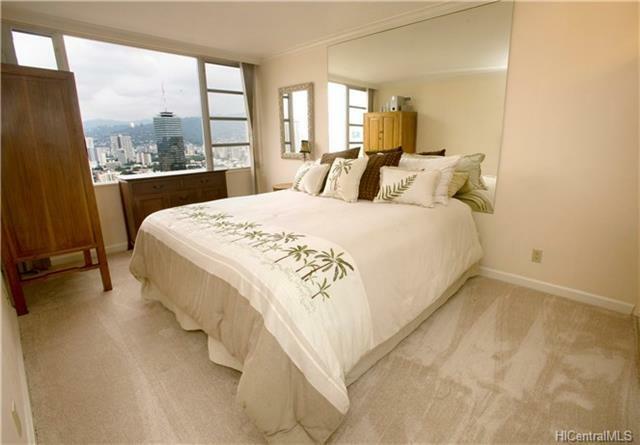 Enjoy stunning ocean, city and mountain views from the lanai of this high-floor Villa on Eaton Square residence. 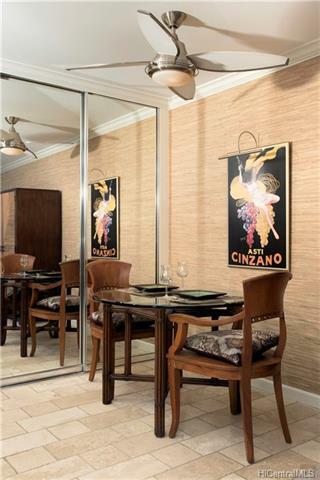 Remodeled in 2005 by its designer-owner, and recently updated with brand new carpet throughout, this is the best value in a highly sought after building. 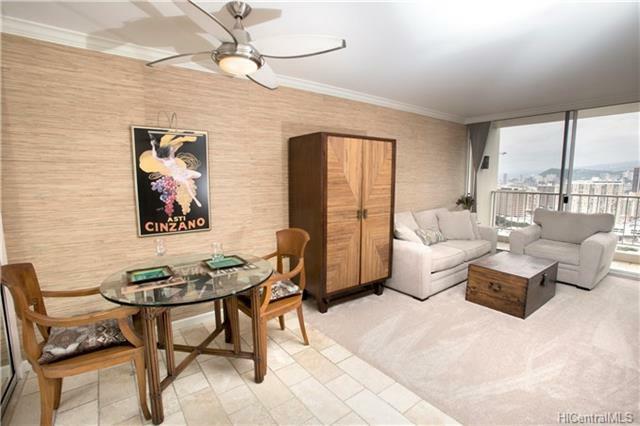 Enjoy Waikiki living at its finest, walking distance to restaurants, beaches, parks, and shopping. Or stay home and enjoy the amenities, including a rooftop recreation deck and pool. 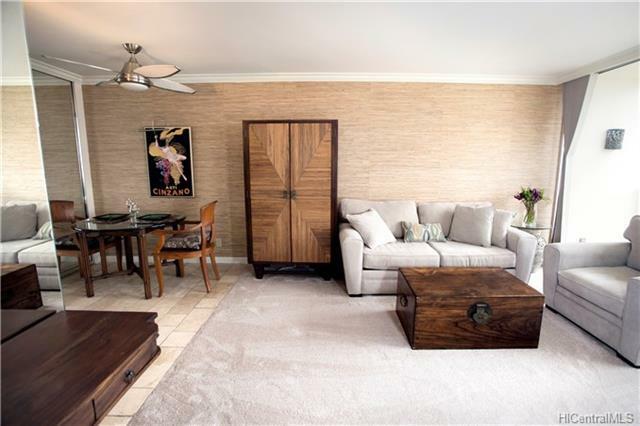 Villa on Eaton Square has central A/C and is a pet-friendly building. Newer appliances include new Bosch washer/dryer in unit.